Mica Shift in Polymer Clay – The best brand? 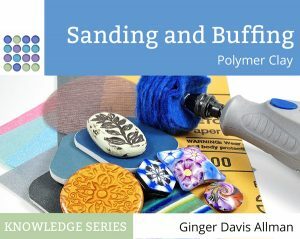 Learn about using resin with polymer clay. Learn the difference between UV resin and epoxy resin and end the confusion over using these great materials. Cheap pasta machines aren’t always a good investment when you’re looking for a polymer clay machine. Here is a review of three craft store clay machines. Stampies are small stamps used with polymer clay. Read the review to learn more about them and find out how they can be used. Learn about the LC Baker bead baking rack from Lucy Clay Tools and find out how it differs from other bead racks on the market. What is the LC Angle Base? If you have a Lucy Tools Slicer, you will also want to consider the LC Angle Base. Learn how this accessory is used and see it in action. Read all about the LC Slicer, the large slicer from Lucy Clay Tools. See lots of pictures, see what it can do, and find out how thin it can slice. 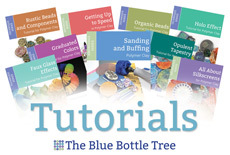 Freeform Wire Art Jewelry is a new book by Gayle Bird that is perfect for teaching you new ways to turn your polymer clay beads into finished designs. What’s the Best Polymer Clay Brand? There are so many to choose from, how can I tell which is the best polymer clay brand? Find out which brand is the best for caning, sculpting, jewelry, charms, and more. Did you know that you can purchase colored translucent clay that already has the color added? Learn the brands and see what the colors actually look like. I previously reviewed the Czextruder XXL, but now that I have the Czextruder HD, I wanted to give you a bit of an update. Also, learn some tips on disk storage, and learn about the LC Vise. The Czextruder: Is it worth the cost? Have you heard the buzz about the Czextruder? People do love it, but is it worth the extra cost? Read my review and learn about the Czextruder XXL.